This is technically about getting a job and/or career, but it applies to many things. If you want to be lifting, and are making a sincere effort at lifting, tell people you’re lifting! That is all you need to have a right to that word. The only people who will follow up to quiz you about it are assholes, and they are much rarer than you might think. Most people are so worried about themselves they don’t have the bandwidth to scrutinize how you are identifying yourself. Don’t waste any more thoughts on stuff like this. You don’t need a Crossfit gym to get muscles, though it doesn’t hurt, necessarily. Crossfit locations are, in my experience, psychotically expensive, and the quality of instruction can vary (to wit, LMAO, NEVER DO THIS). All you really need to lift is a power rack, a barbell, and plates (some worse gyms, like Planet Fitness, do not have these things — skip them). If you want instruction, many barbell club-style gyms offer basic classes, or you can get a personal trainer who knows powerlifting. 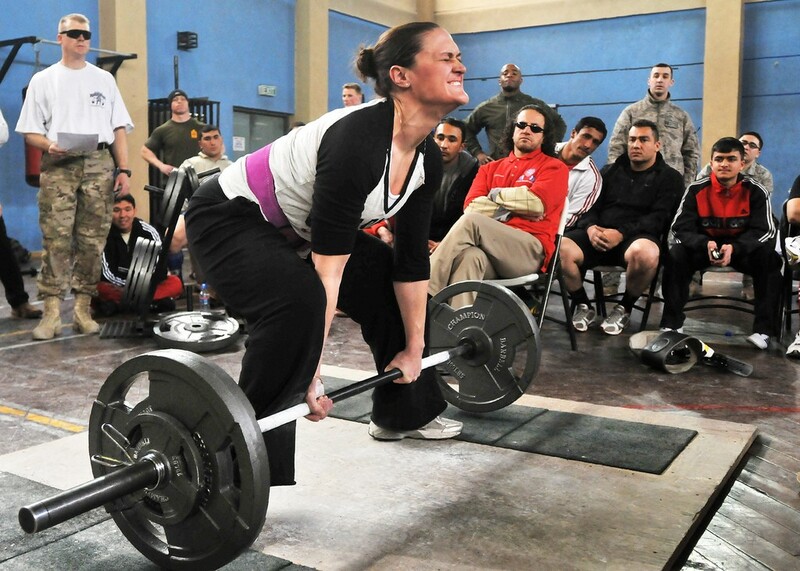 As for your deadlift — to be honest, 20 pounds is not a lot, even for an untrained person. You may be very small or very weak, or both, and everyone has to start somewhere. That said, deadlifts are a Very Big Lift, in that they use many, many muscles at once; it’s the basic, fundamental motion of bending down, picking something up, and standing up with it. If you’re doing it right, your entire body is under active load, and any muscle that isn’t actually moving the weight (glutes, hamstrings, quads, calves, hip flexors) is working to stabilize the rest of you (upper back, middle back, lower back, traps, shoulders, core). This is also what makes them a little tricky to get right, but once you get them, you will love them. Deadlifts are a beautiful thing! You will never look bigger, more muscular, or more badass than when you’re deadlifting. 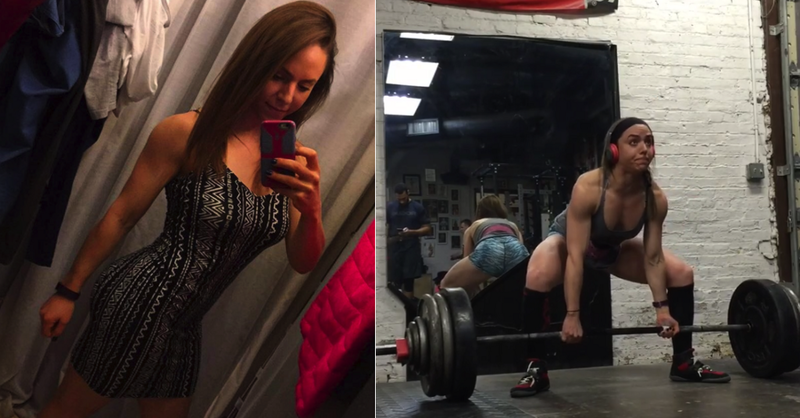 A deadlift transforms you. Deadlifts are particularly beautiful, to me, because they can’t be spotted — that is, no one can stand over you or behind you or next to you and help you, the way you can be caught from behind in a squat or two-finger-light-assisted through a bench. You lock out a deadlift on your own, or you do not. Since deadlifts are a big lift and use many muscles, humans can move more weight with them, basically unassisted, than doing anything else. The Mountain from Game of Thrones can deadlift just shy of 1000 pounds. Your potential to deadlift a lot of weight is almost certainly a lot greater than your potential to squat or bench. That, plus the fact that it can’t be assisted, means deadlifts can and should be one of your greatest sources of power. Under any beginning lifting program, you should be able to add at least 2.5 to 5 pounds to your lifts with every session (it can be more, in the beginning). Under a program like Starting Strength or Stronglifts (more about those here), that’s once or twice a week. So if you weigh, say, 125 pounds, you can reasonably expect deadlift your bodyweight in 14 weeks, 28 weeks at most. 125 pounds sounds like a lot, but it’s not, really, given you’re using your entire body to do it. A huge part of doing this will be just setting this goal! Decide you want to deadlift your bodyweight in 14 weeks, and you can absolutely do it. Eat all your food, get your sleep, drink your water, and show up at the gym three times a week. It is no more complicated than that. If you let your body do what it can, it will. If you want to deadlift the bar, which is 45 pounds, that is theoretically only 3 to 6 weeks in your future. Next month, you will be deadlifting the bar. Your form doesn’t have to be absolutely perfect to get that far, but it does need to be basically good. Read up a little before you go to the gym next, practice the basic motion with a broomstick or Swiffer or length of PVC pipe or whatever you have. Practice every day, if you want! Check out a video or two. You can do this; this has almost nothing to do with believing whether or not you can. Early gains are just science and facts and a matter of checking the boxes. All you have to do is decide. Amazing! And good — no one needs to run. Everyone should stop (unless you really, actually like it, in which case you are crazy and cannot be reasoned with). I do want to point out that one of the great things about lifting is it’s an entire fitness program unto itself; your rest days are for resting and you don’t NEED to do anything else. Just because you are not sore or necessarily tired doesn’t mean you don’t need to recover; lifting challenges your central nervous system as well as your muscles, and there’s no real way to feel CNS fatigue until the next time you go to work out and you’re mysteriously sapped of energy. That said, if your limitations in lifting are the result of other fitness components — you are not flexible enough to do a squat to full depth, or arch in your bench, or you have to stop mid-set because you are out of breath — building a little more exercise into your off-days is fine, and can even help you with your strength goals. If you also simply went hard at the gym and are sore, active recovery days will help you. Yoga is great for flexibility; I’ve said before I especially like a hip-opening routine, because you need a fair amount of hip flexibility for squats and sumo deadlifts and I sit at a desk all day. But you can also just get a bit warmed up with some jumping jacks or skipping rope or high knees or whatever, and then do some basic stretching and foam rolling. This is a good set of stretches, as is this. Get a foam roller and a lacrosse ball and roll out anything that feels sore or tight. This is especially good for helping recover from soreness. If you want to build some cardiovascular strength but don’t want to run, you can do the elliptical, stationary bike, stairs, or row, if you want to use machines. At home, you can do a simple HIIT routine — the 7-minute workout is actually pretty great, and you can run it two or three times for a short but intense workout. You can hike or rockclimb. All of this is a matter of personal preference; some research shows you will get more out of HIIT in less time than steady-state cardio, but the difference is a couple of percentage points. Some studies show that HIIT is more effective for training or better for fat loss, others show it’s basically the same (and that that HIIT is also less enjoyable). But the differences are all so small they are not worth paying a lot of attention to, especially because you are not playing this game and are doing things the right way by building muscle and letting your higher resting metabolism do the work. There’s not really a limit on what you can do except that, if making progress in how much weight you lift is a priority for you, don’t do too much. Like 20 minutes, a half hour tops. Just as you can’t make a flower grow faster by putting it under 24 hours of sunlight and burying it in fertilizer, working out more beyond a certain point is just bad for you. 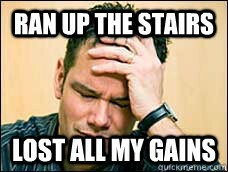 There are endless memes about cardio activities affecting lifting gains, and they’re extreme but not wrong in principle; rest days are for resting, and you should not feel bad about having days off.